I have to admit it, I am a total product junky. I always want to try new things but hold on to my absolute favorites. I can’t walk into Sephora, Ulta or even Walgreens without leaving with a product in my hand. My makeup routine has a mix of luxury brands and drugstore brands. I believe that sometimes you have to spend the money to get what you really want from a product, and other times the drugstore brands are just as good. In the case of nail polish, I’ve found that the price makes a difference. OPI, Essie and Butter are all expensive, but in my experience, they are worth it. They last longer and have better color. 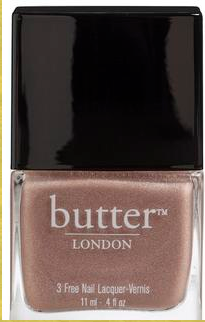 Today, I want to review Butter London. This is my absolute favorite nail laquer. I became obsessed at the beginning of the summer and have been buying up colors ever sense. All of their titles are witty words having to do England like “All Hail the Queen”, “Chimney Sweep” and “The Old Bill”. I also invested in the base and top coat, both good ideas. They make the color last longer and the top coat helps it dry faster. 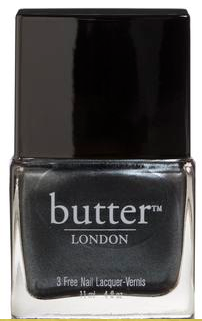 I think that the title of laquer fits this line perfectly because the color seems more like a gel than a regular polish. The Fall collection is out and they are all great colors. The “shag” laquer fits right in with the oxblood trend this Fall and I am a sucker for a good black like “Gobsmacked”. 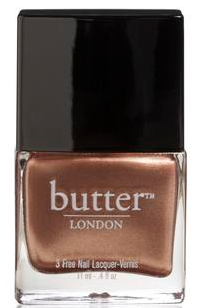 Butter London has my full backing and I hope you try it yourself! Colors can be purchased at Sephora, Ulta, Nordstrom and Urban Outfitters.